(Interrupting the coverage of our holiday with a post about the long weekend.) Memorial Day is one of the few holiday weekends which coincides with a bank holiday back in the U.K., and it always feels rather nice to be doing long weekendy things at the same time. Unlike back in the U.K., when our bank holidays usually used to involve heading out of town to visit friends or relations, go hiking, or lengthen a trip to somewhere in Europe, here we often tend to use them as an excuse to veg out at home. Not so this time, however, when each day involved something fun with different sets of friends, although we did still manage a decently lazy morning on Monday! Visiting the historic Buddhist temple of Borobudur was our first stop in Indonesia, which turned out to be a good thing for all kinds of reasons. Indonesia is, of course, quite different to Singapore, and it was very nice to be met at the airport by a driver booked through our hotel. Navigating the Yogyakarta traffic was a fairly eye-opening experience (although it’s actually quite tame compared with some other places), and retreating to a fancy resort hotel softened the culture shock still further. I’m not really sure why I was so keen to visit Singapore. 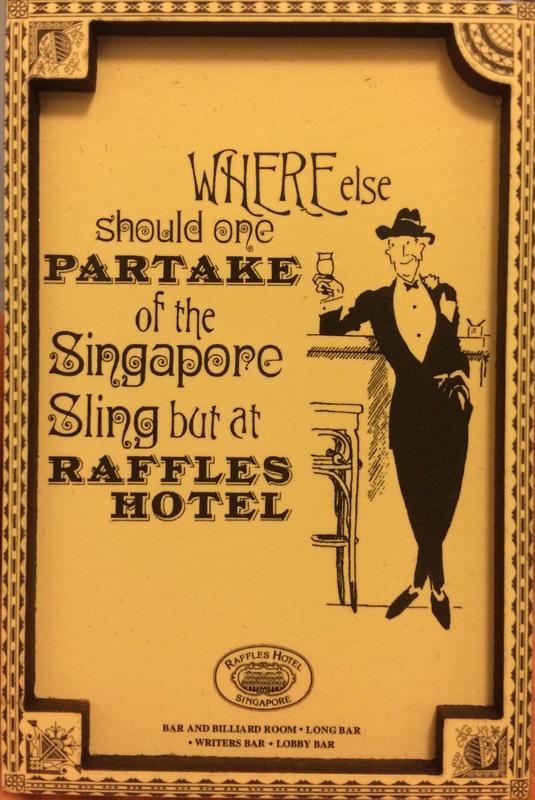 Family history, the allure of Asia, the Raffles Hotel’s famous Singapore Sling, these all had something to do with it, but even I think twice about travelling half way around the world just to try a cocktail.